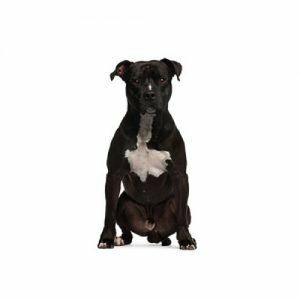 Courageous and strong, the American Staffordshire Terrier (Am Staff)?۪s athletic build and intelligence make him ideally suited to many dog sports such as obedience, agility, tracking and conformation. He is often identified by his stocky body and strong, powerful head. The breed?۪s short coat can be any color, and either solid colored, parti-colored or patched.